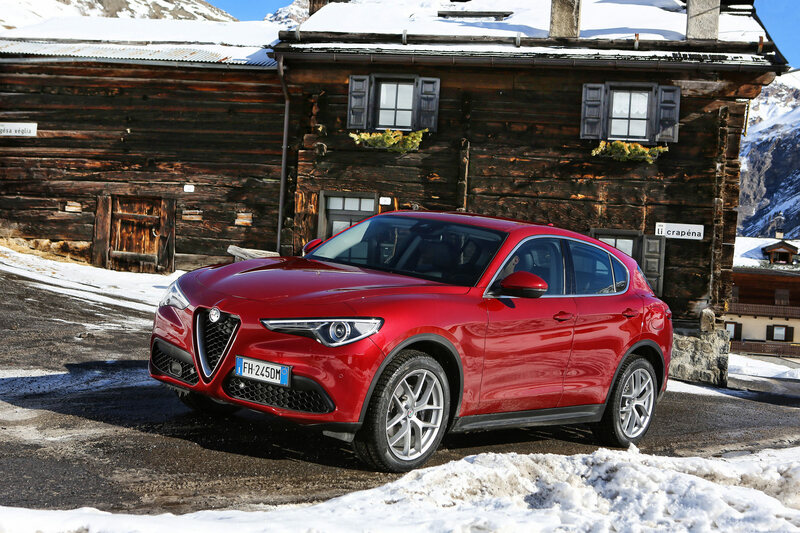 If your goal is to review an Italian vehicle that claims to be driver-focused, you could do a lot worse than hitting the Stelvio Pass in Bormio, Italy. And if the name of the Italian vehicle you’re driving is derived from this selfsame pass? Well, there’s really no other reasonable choice. The 2018 Alfa Romeo Stelvio draws both inspiration and motivation from the road of the same name. Now, make no mistake, the Stelvio Pass is not a high-speed stretch; in fact, some sections are so serpentine, speeds are closer to what you might see in a school zone than on a superspeedway. But what the 2,758-metre climb up the highest paved road in the Eastern Alps demands is a level of agility that borders on the gymnastic. From the town of Bormio to the highest point of the Stelvio Pass is a test of some 20 kilometres around 48 hairpin turns. It’s a classic alpine pass, then, but dialled up to 11 on the insanity scale. Many of the hairpin turns are, effectively, blind in nature. So, you can have this mid-size Italian SUV lined up perfectly for the exit from a hairpin, only to catch something in your peripheral vision. That sideways glance signals that you need to apply immediate corrective steering, hammer on the brakes, dial 911, or do all three at the same time. On the downhill run, these same turns are, of course, still blind, but the challenge factor is ratcheted up. You’re carrying more speed entering the hairpins, and the small cement posts and walls that line the outside of the road look completely unsuited to preventing wayward vehicles from catapulting over the edge. Mixed in with the daunting twists are other factors that serve to make the Stelvio Pass diabolical in nature. First, it’s a wildly popular route for tourists, cyclists, and motorcyclists. On a bright and cool Wednesday morning, we start early to get a jump on traffic; by 10 o’clock, the traffic is getting a jump on us. The tour buses take more than their fair share of pavement, the motorcyclists ride in packs, and the cyclists emerge from the mid-summit mist like apparitions. Compared to the best of its immediate competitors, the turbocharged 2.0-litre 4-cylinder in the Stelvio creates more horsepower and almost equal torque. As the Italian model is lighter than the rest, its acceleration is likely stronger (0 to 100 km/h in 5.7 seconds) and its top speed is higher (232 km/h). The engine is calibrated to develop maximum torque toward the lower end of the rev range, so the Alfa proves a willing companion when accelerating up the Stelvio Pass and out of 48 hairpin turns. There are three distinct drive modes: dynamic, natural, and advanced efficiency (the acronym being an appropriate “DNA”). (The Quadrifoglio will get a fourth mode: race.) Switching the setting on the rotary dial in the centre console triggers changes in engine and transmission response. When set to dynamic mode, things really spring into action. The 2018 Alfa Romeo Stelvio draws both inspiration and motivation from the road of the same name. Like the engine, the eight-speed automatic transmission with adaptive shift technology single-clutch automatic transmission is a real strength of the Stelvio. While many performance vehicles now use dual-clutch automatics because they offer quicker shifts, the drawbacks often outweigh the advantages. The typical dual clutch is more costly, more complex, and heavier (so shifts might be quicker, but overall acceleration can still be slower). Manufacturers using single-clutch automatics will claim that the speed difference is negligible, but in the case of the Stelvio, this argument actually seems plausible. The stated speed of shifts is less than 100 milliseconds. The transmission is mighty quick to respond to commands, either when the engine hits the 6,200-rpm red line or when the driver pulls on the oversized aluminum paddle shifters. The drivetrain is the first sign that the Alfa Romeo Stelvio is worthy of its Stelvio name. Another sign is the Q4 All-Wheel Drive system, which is standard equipment on all versions of the SUV. This system automatically shuttles up to 60 per cent of torque to the front wheels as conditions demand, and it can make this shift in just 150 milliseconds. Under normal driving conditions, however, the Stelvio assumes the stance of a rear-biased vehicle. English translation: There is no horrendous understeer to be found, not in entering the hairpin turns, not in the faster bends, and not when quick thinking is needed to avoid obstacles in the road. There are rare times when the combination of speed and the conditions forces the active safety system into play, but considering the nature of the Stelvio Pass, this happens a lot less than expected. While the average crossover can’t hold a candle to a sedan built on the same platform, the Stelvio makes a strong case for being the exception that proves the rule. The wheelbase is long, with the wheels pushed right to the corners of the vehicle. 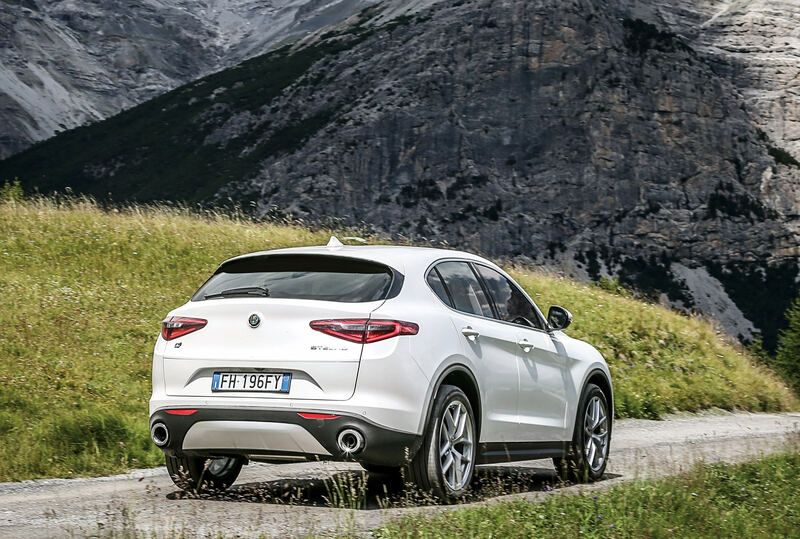 Although the Stelvio rides higher than the Giulia, all the heavy components on the SUV have been mounted as low as possible; this helps secure a surprisingly low centre of gravity. The steering system is light, but crisp and direct; angle the Stelvio toward a bend in the road and it just goes there. 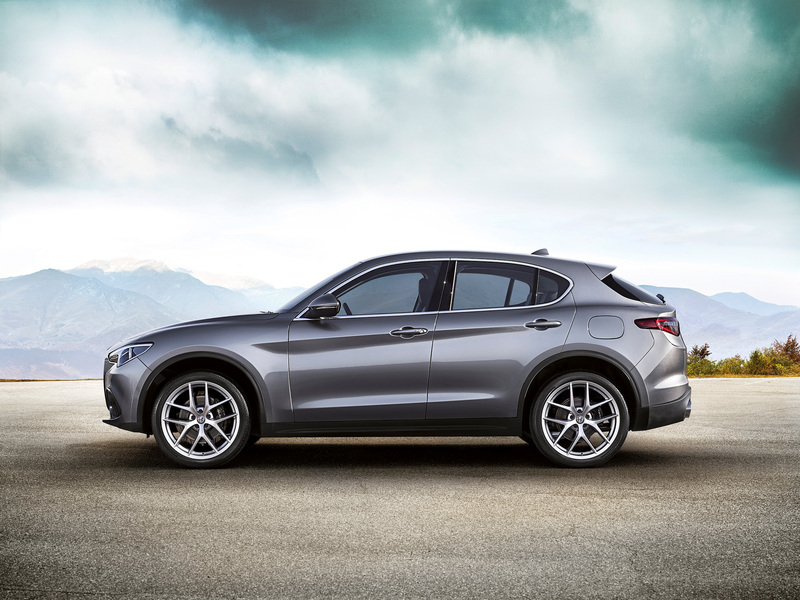 The combination of the AWD system, the platform, and the steering gives the driver the tools to push the Stelvio toward its natural limits without everything spinning out of control. This is the kind of performance normally reserved for much more expensive SUVs, but it makes sense. If everything in your SUV is engineered to work with a 505-horsepower engine, it’s going to be able to work with a 280-horsepower engine. If the Stelvio is one thing and one thing only, it’s an authentic Alfa Romeo. This legendary Italian brand, which shades Ferrari, Lamborghini, and Maserati for sheer longevity, has always championed two qualities above all else—speed and style. From a design perspective, the Stelvio has the proportions one would expect of a mid-size SUV and even resembles some competitors from certain angles. But the face of the Stelvio is both unmistakable and unmistakably Alfa Romeo. The classic Trilobo look is formed by the Scudetto triangular front grille, flanked by lateral air intakes—this section alone separates the SUV from the crowd. Squinty headlights and LED daytime running lights complete the look, which the brand accurately refers to as “menacing”. 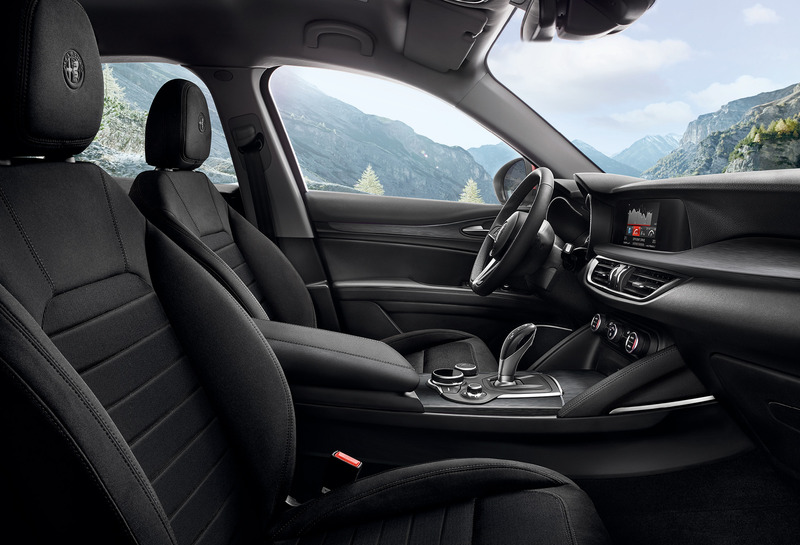 Inside, the Stelvio leans more toward the sporty than the luxurious. The focal point is the triple-spoke steering wheel, with its in-your-face logo and those oversized paddle shifters. 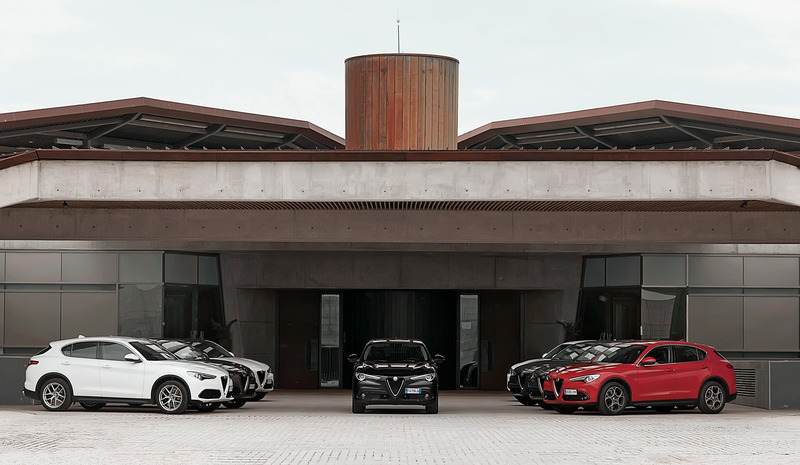 The business-like nature of the all-black treatment echoes the most serious Italian driving machines out there. After a day spent piloting the Alfa Romeo up the Stelvio Pass, back down, and then across the top of Italy to Milan-Malpensa Airport, there’s only one disappointment to report. The base version is one heck of a vehicle—without question, truly entertaining from start to finish. But it’s not the Quadrifoglio, and what is abundantly clear from driving the entry-level Stelvio is that the 505-horsepower version will be even more scintillating. The 2018 Alfa Romeo Stelvio is available now and starts at $52,995; the Quadrifoglio arrives in early 2018 and prices have yet to be announced.